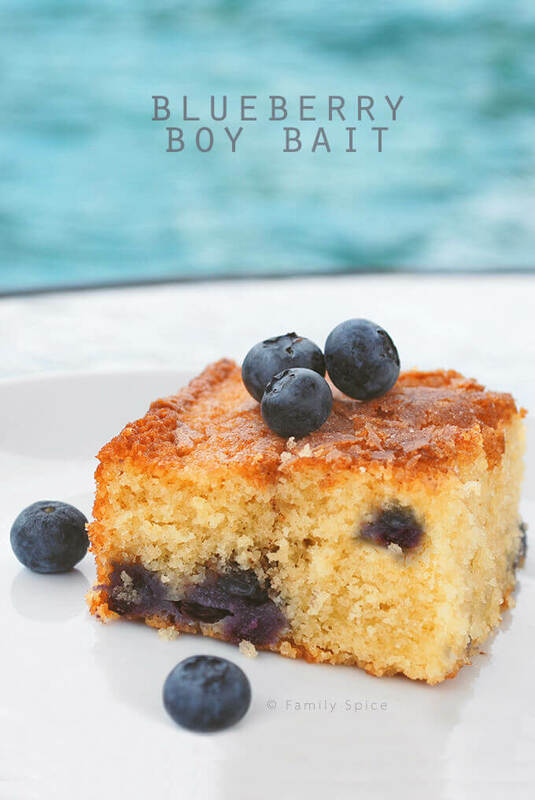 The Blueberry Boy Bait is a moist sweet cake that won the 1953 Pillsbury baking contest prize winner by a 15-year old girl. It’s still a winner today! 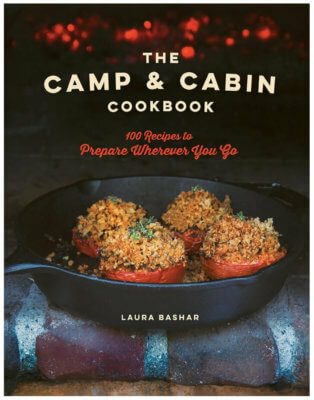 I love it when a recipe has a story to it, whether it’s a tall tale or a family fable. And the story for Blueberry Boy Bait is great. This cake recipe is a 1953 Pillsbury baking contest prize winner that was originally created by a 15-year old girl. She won 2nd place in the junior division. They cake was named after the effect it had on teenage boys–one bite and they were hooked! Love it! Who needs perfume or tight jeans?!! I’ve seen the recipe in my Cook’s Country magazine and I flagged it to make later. Well, a few years later I’ve seen this cake being sampled and blogged about, so I finally made it and took it to a pool play date this summer. We were hooked with this cake, too, with its buttery texture and crusty cinnamon-sugar top. 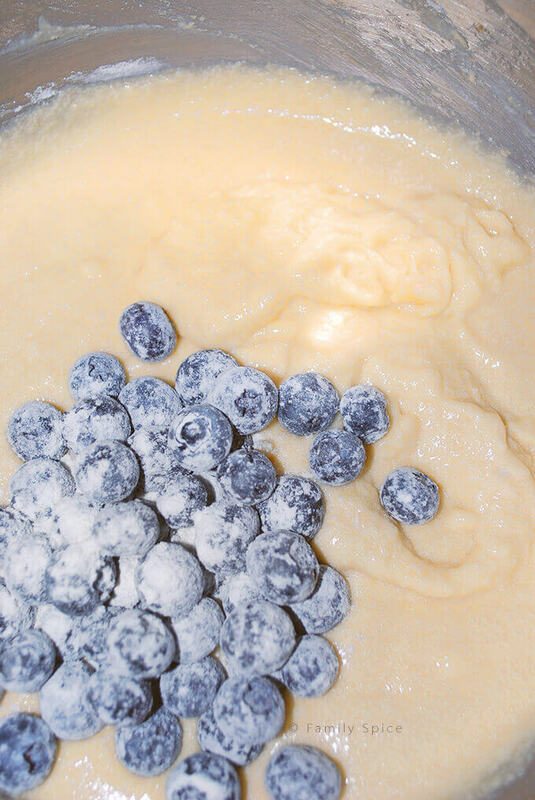 It’s also fully loaded with summer’s jewels – blueberries! 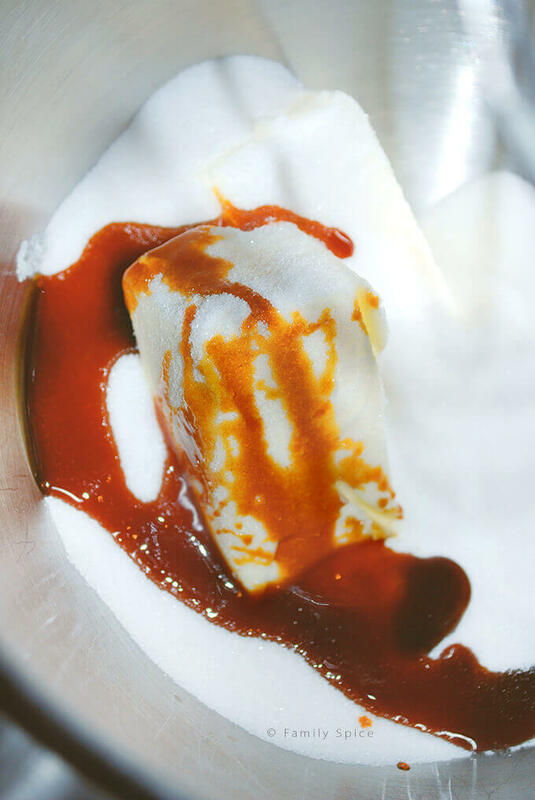 Serve it alone or with a dollop of whipped cream or vanilla ice cream, this makes a scrumptious dessert. You can also cut them into small squares and serve with tea or coffee as an alternative to coffee cake for brunch or breakfast. 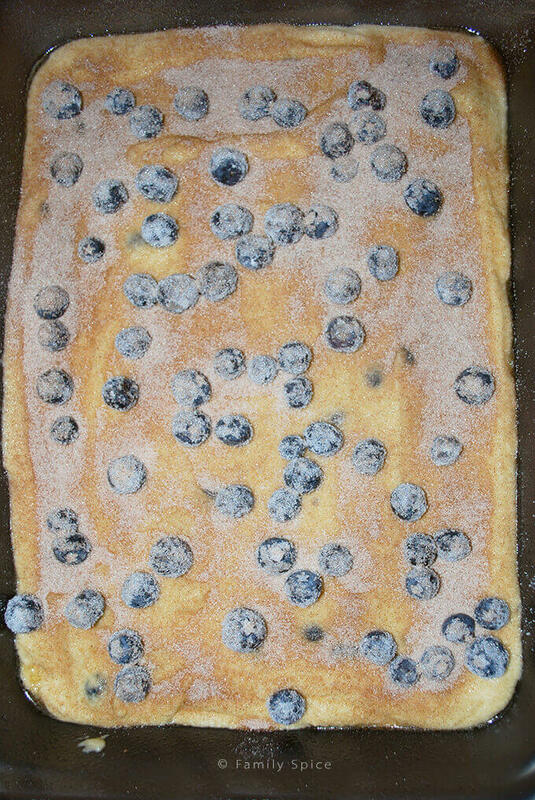 Preheat oven to 350ºF and apply non-stick spray to a 9" x 13" baking pan. 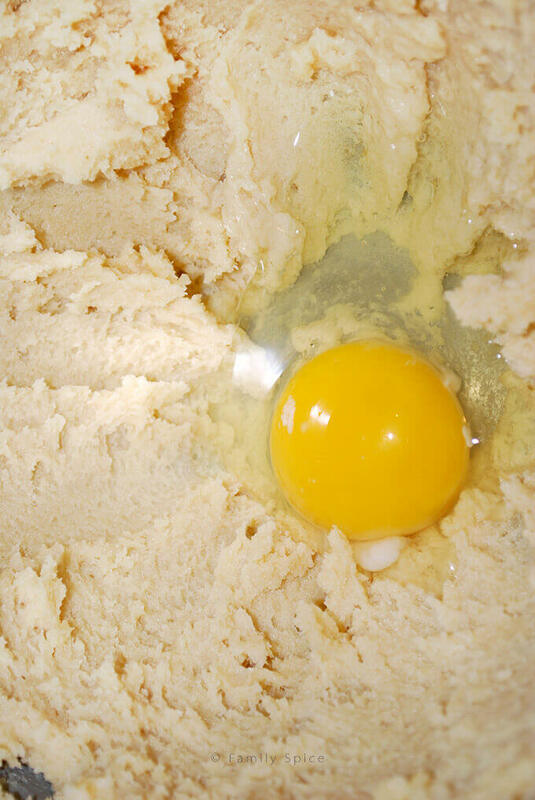 Add one-third of flour mixture and mix until incorporated. 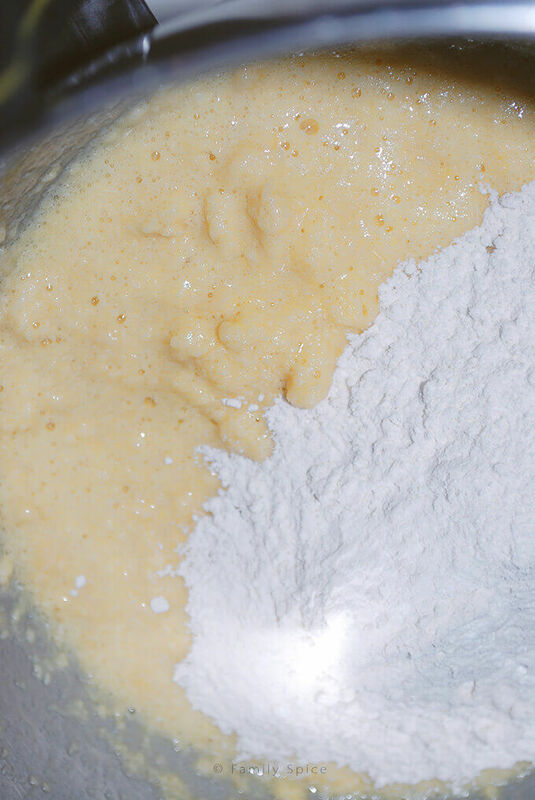 Mix in half of remaining flour mixture. Finally mix in the remaining flour mixture. Using a rubber scraper, gently fold in blueberries. Cool in pan 20 minutes, then turn out and place on serving platter (topping side up). Serving Suggestions: Great for dessert or served for brunch as an alternative to coffee cake.